Last week, we reported on the latest venture investment figures from Google's aptly named 'Google Ventures' division. Although the figures are interesting enough, what is of more interest is Google seem to be taking a step away from their more traditional Enterprise ventures. Instead, Google this year were more interested in the Health and Science sectors. What's more, is that it seems this is the direction Google will be taking in 2015. That said while Google bucks the trend of looking for pure return ventures, this won't be the same for business ventures in general. A recent report by Business Insider has shown that the top areas for tech investment for 2015 certainly won't be concerned about people's health. Instead, these will all be far more traditionally, enterprise-focused. The general consensus of what makes up these predicted high-value investment sectors was obtained from consultations with various venture capitalist from Silicon Valley. As such, they do provide some degree of authority to the predictions made. That out of the way let's get down to the juice. Big Data and the 'Share' economy. It seems one of the very big investments for next year will be the arena of 'Big Data'. This is a term we are hearing more and more in recent times and has started to create a micro field within the bigger Data industry. Which is slightly ironic given its name. Big Data is taking minute amounts of data (like site visits and so on), but collecting them on a massive scale and crunching that data. Over the last year, a number of companies have made their name in this area and it is expected they will be worth an investment or two next year. According to predictions, 2014 was the year of these companies establishing themselves. Next year will be the year of them cashing-in on that establishing. Speaking of big numbers, another industry which is expected to do well next year will be the 'share economy'. This is more effectively understood as marketplace businesses. Think Uber, think Airbnb, think Etsy. Over the past year, these companies have dominated their respective markets by opening their doors to allow vast amounts of people to tout their own services. This large database of people offers two distinct advantages. Firstly, the number of workers inevitably grows as more people learn they can sell their, while secondly, as the workforce increases, demand is better met, which in turn fuels competition, which in turn fuels value-for-money, which in turn attracts more trade. It is expected that as 2015 rolls through, the industry of connecting buyers and sellers will also be one to invest in and collect a tidy return from. As we have now come to understand Big Data is big business next year, it should not be too surprising that both Amazon Web Services (AWS) and Cybersecurity will also be big business. In terms of AWS, this might be a service most lay users have not heard of before. However, AWS is a big deal. This is Amazon's own pay-as-you-go solution for startups who need access to Cloud-based services. Apparently, most startups flock to AWS and as such they are seen as one of the leading lights in the industry. As a result, it is not actually AWS that is being seen as the 2015 opportunity, but instead the competition that will be fuelled by the allure of the AWS success. The competition to AWS is expected to be much greater next year as companies jump onboard to offer a rival service. In particular, keep an eye out for both Google and Microsoft in this respect. Likewise, Cybersecurity is going to reach the headlines next year and not just for whatever is next stolen from Apple's iCloud. Predictions suggest that this year's abundance of cyber attacks are only the start of what is to come and as such effectively combating these attacks will be a massive industry of its own. As cyber terrorists attack, companies will want to be protected and this will result in massive business opportunities for new and existing companies in this sphere. Apps are everywhere today. There is pretty much an app nowadays for everything. With this in mind, you might have thought the app revolution had reached its apex. However, that does not seem to be the case. At least not from an investment point-of-view. That doesn't mean the next Angry Bird or Kim Kardashian app will be what we are talking about though. Instead, the focus next year will be on refining and defining the app market. One area which is being touted as big business is that of Enterprise apps. These are apps that will be specifically designed for the workplace. As jobs become more online-based and out-of-the-office orientated, enterprise apps will provide a solution for a number of industries like construction, manufacturing and healthcare. By the same token, the other side of next year's predicted app boom will be what is commonly understood to be 'Containers'. Containers refer to a type of technology which helps to maximize the build-success of an app. This is best understood as technology which helps to prevent apps crashing, helps to make apps run faster and across physical platforms and machines. This refining of the makeup and performance of apps are expected to be highly investable industries next year as the technology becomes more available and used. Lastly, 'Beacons' are something else to watch out for next year as it is expected they will explode into both the retail and service sectors. For those, who have not come into contact with Beacons yet, these are the new selling machine. Beacons are small Bluetooth transmitters that are able to send data within a specific distance to nearby devices. To give you an example, you could be walking into a shop and instantly receive a ping with a deal from the shop, a special discount or just a blatant unwanted advert. This is expected to be massive business as more and more front-line companies realize how effective Beacons can be. This won't be reserved just for retailers either, as many service-oriented businesses like hotels, airports, and so on look to offer more direct communication with their consumers. So there you go. 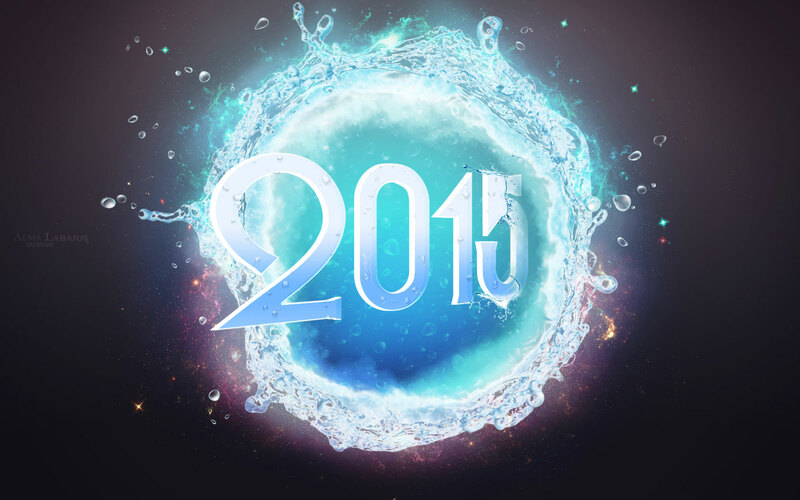 It seems 2015 will be an interesting year for many new and emerging technologies. Some like AWS will face stiff competition while app and information industries will be further defined and redefined. But what do you think? What lines of industry are you expecting to do well in 2015?